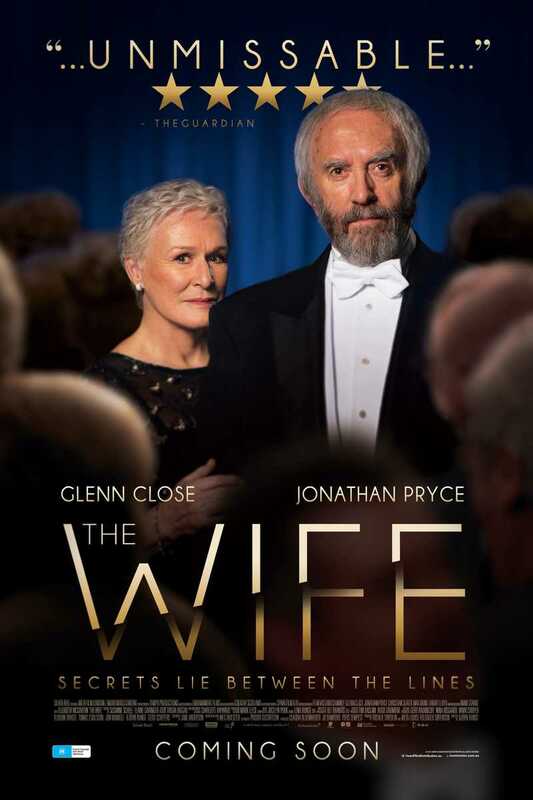 The Wife (2017, UK/Sweden/USA, Bjorn Runge, 1hr 40 mins, Cert 15) is a drama that examines the nearly forty year marriage of Joe and Joan Castleman. The story begins when Joe, a world famous author, is selected to receive the Nobel prize for literature and unfolds in the days leading up to the presentation ceremony with flashbacks to when the couple first met as college student and professor. Glenn Close is brilliant as the supportive wife putting her husband's every need before her own who is confronting some uncomfortable, suppressed truths. Jonathan Pryce is excellent as the narcissistic and needy writer with Christian Slater as a would-be biographer accompanying the couple. This is a supremely watchable, entertaining film with a stand-out performance from Close that is being tipped for awards recognition. Please Note: This film is in the Performance Hall at 7.45pm - there is another film on the same night at 7.30pm in Studio 609. You cannot watch both screenings.